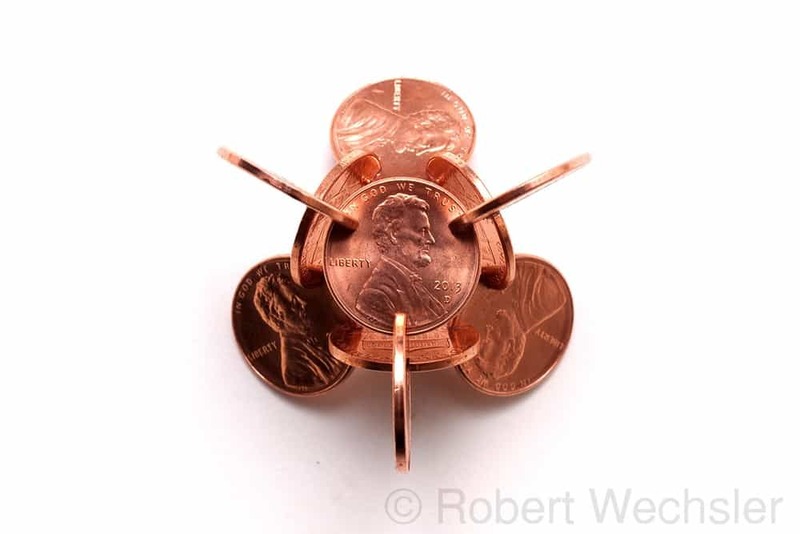 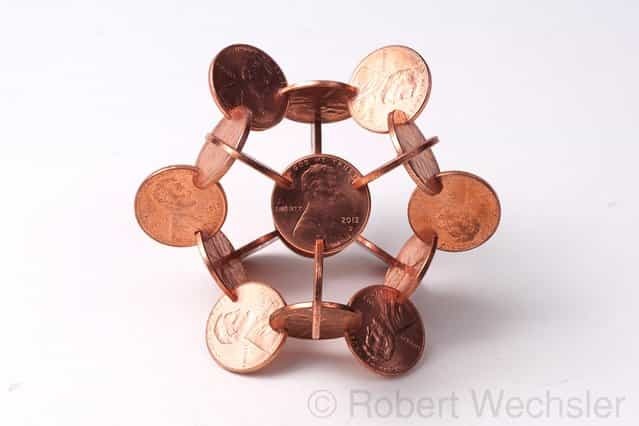 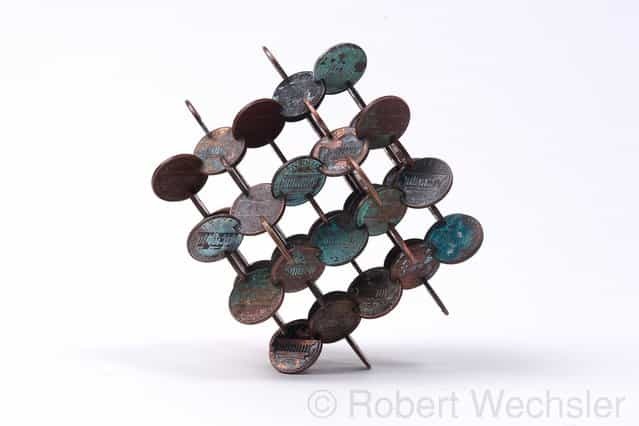 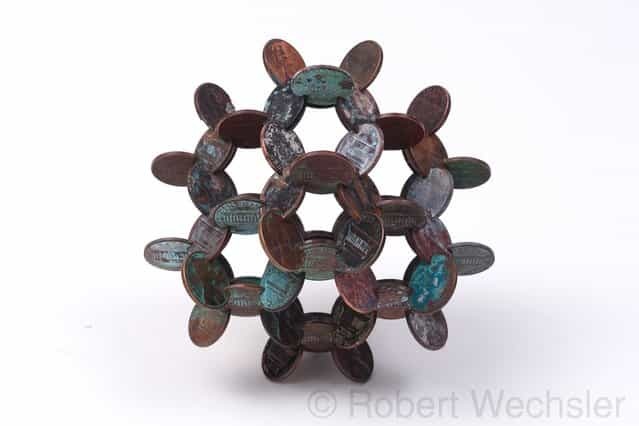 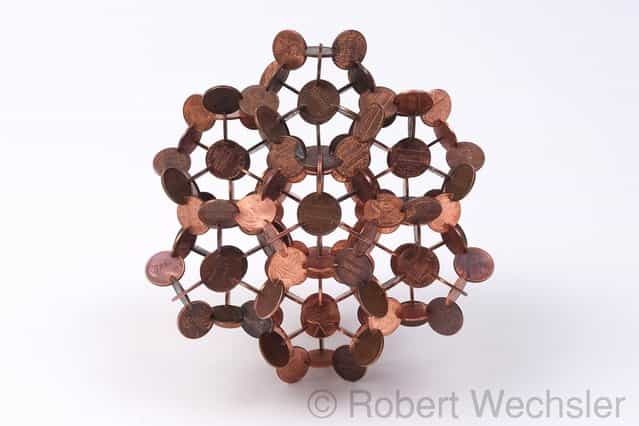 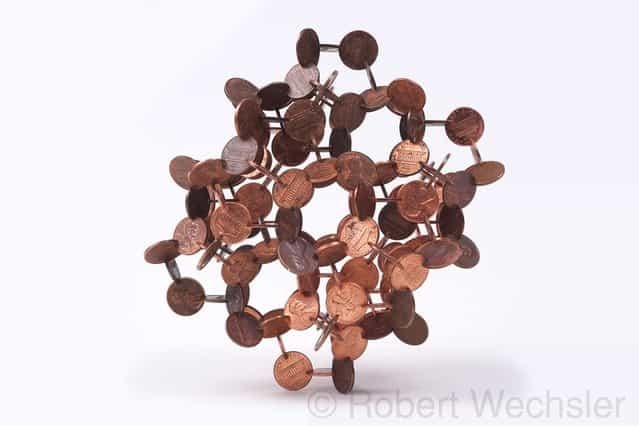 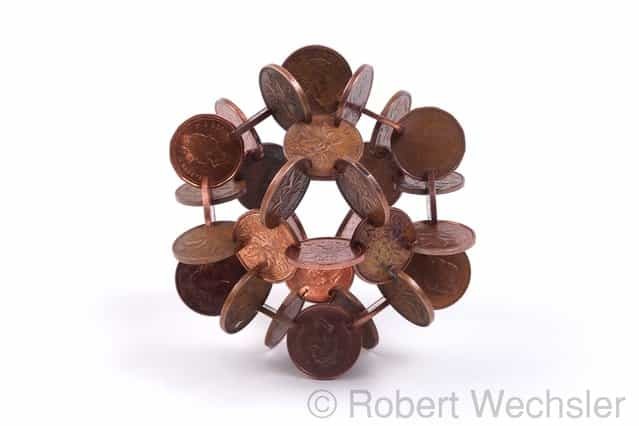 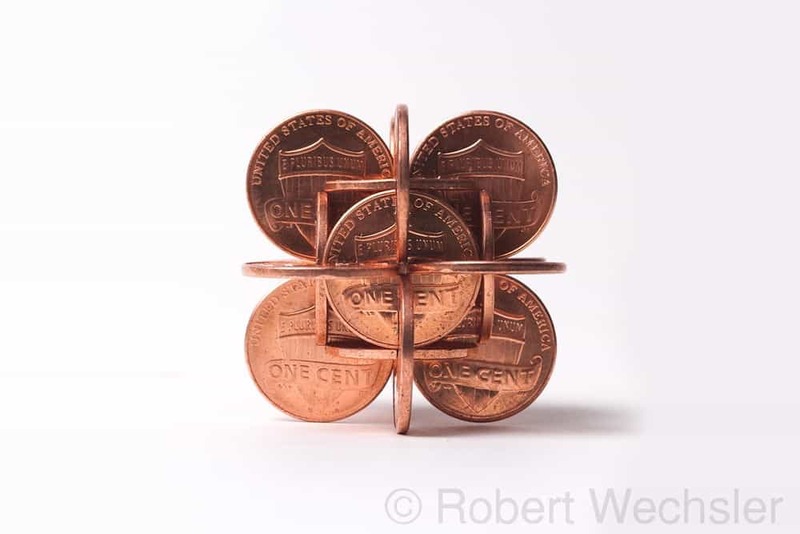 American artist Robert Wechsler has realized a series of sculptural cubes made from thousands of pennies titled [The Mendicant[. 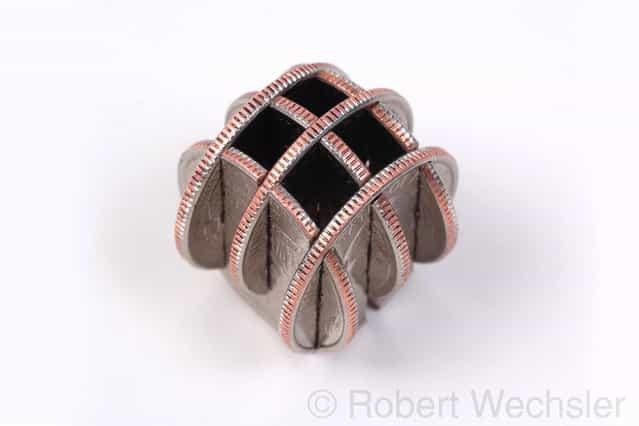 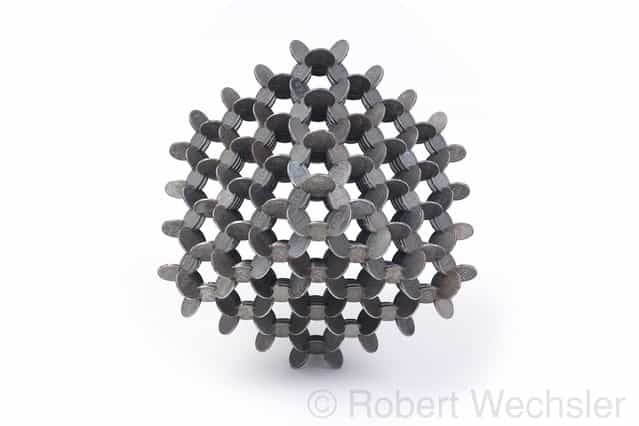 Cubes achieved by notching and joining pennies in perfect orientation to one another. 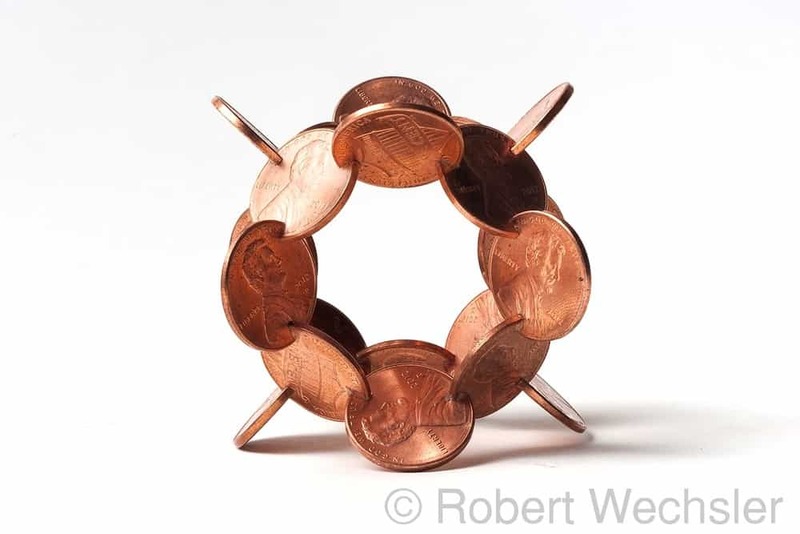 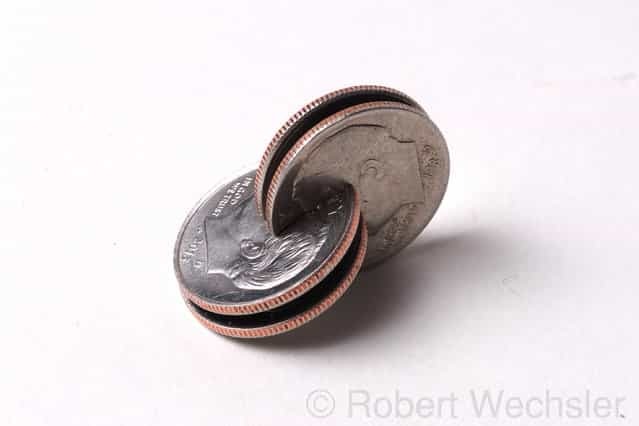 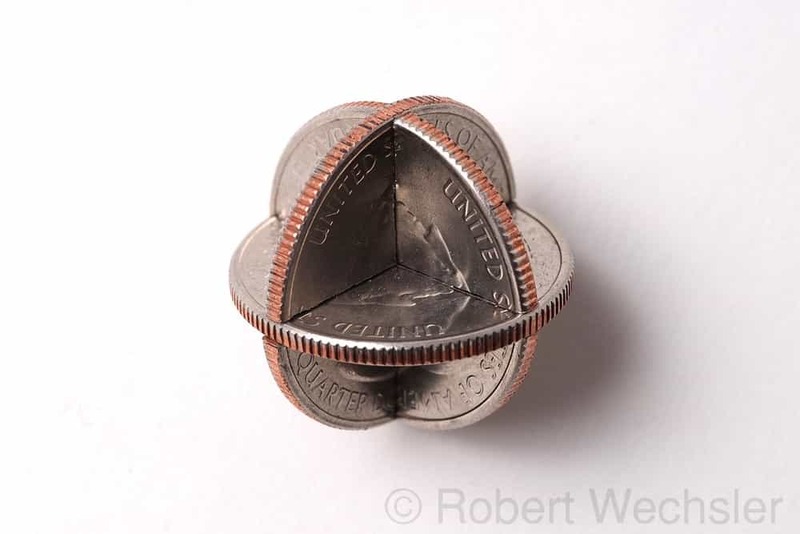 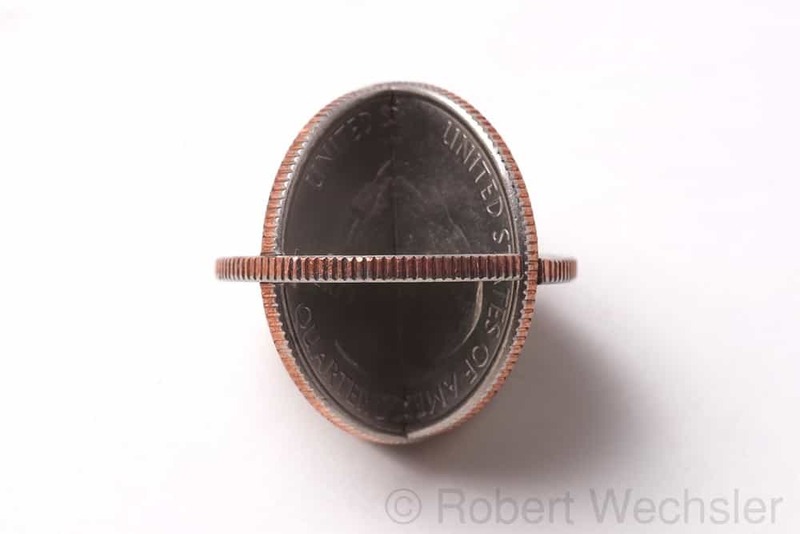 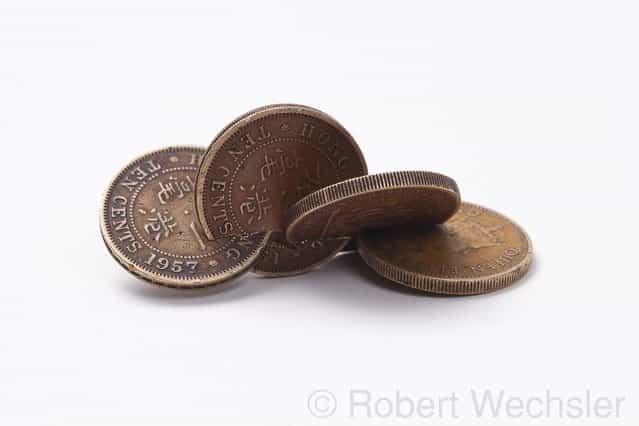 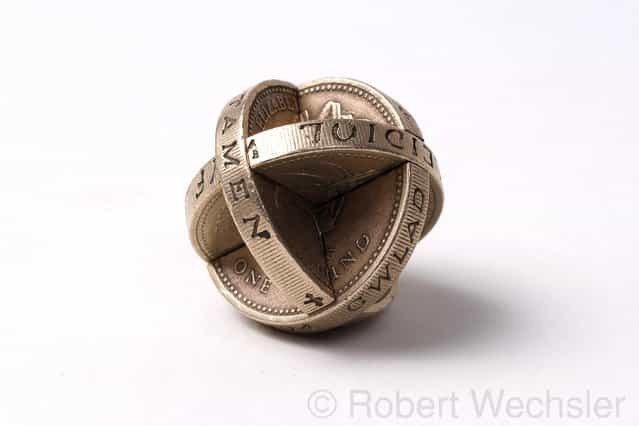 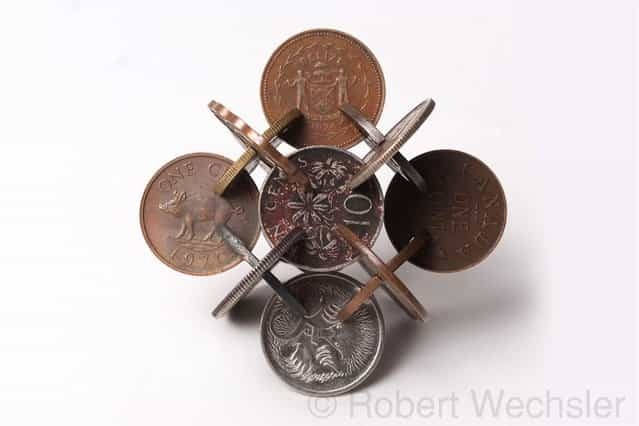 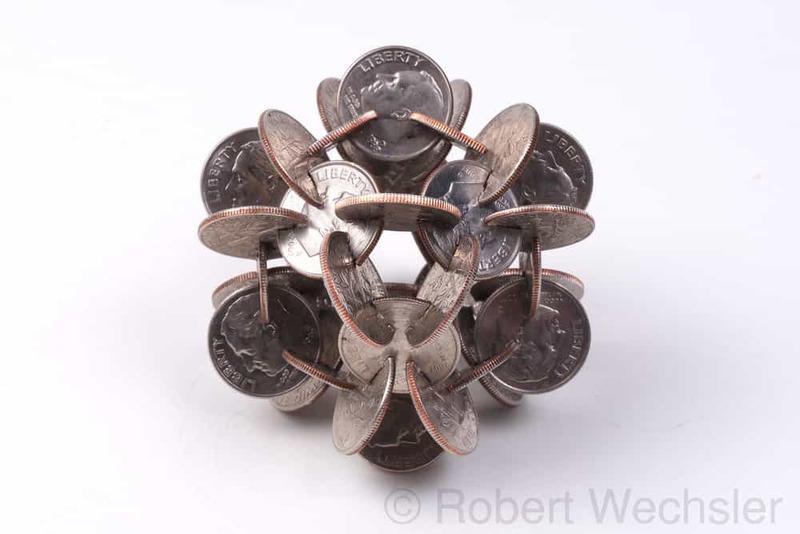 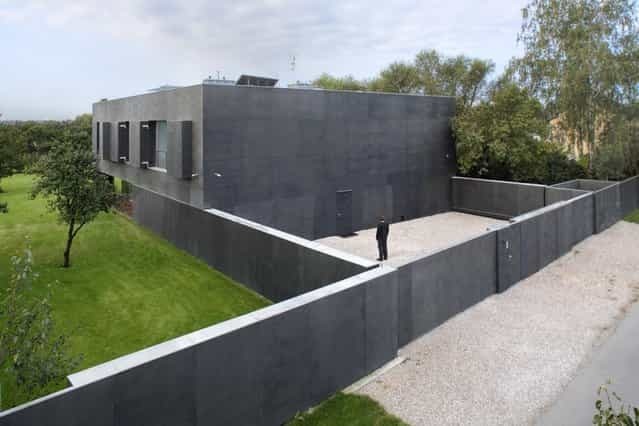 Joined at perpendicular angles, the coins create a lattice structure allowing tunnel like passages of light from certain angles. 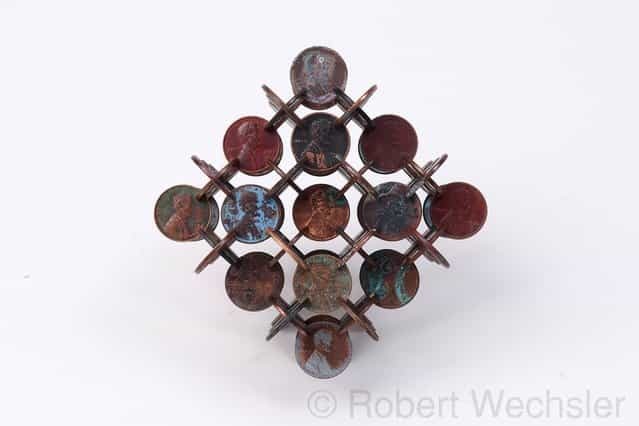 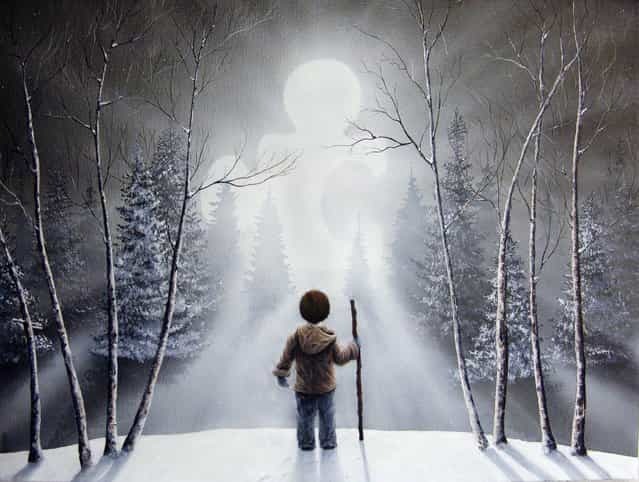 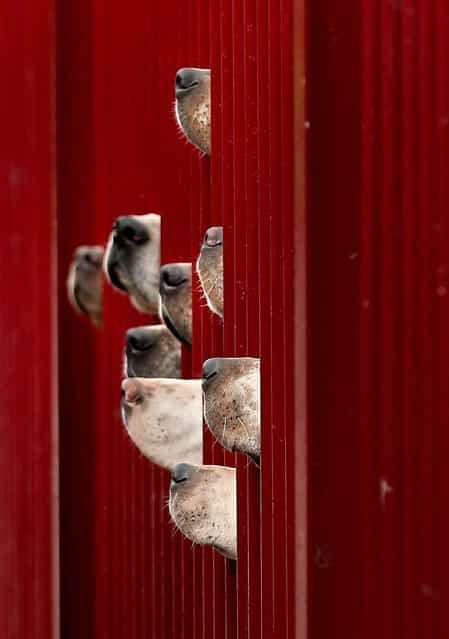 As one moves around them, the cubes seem to fluctuate from material to ethereal. 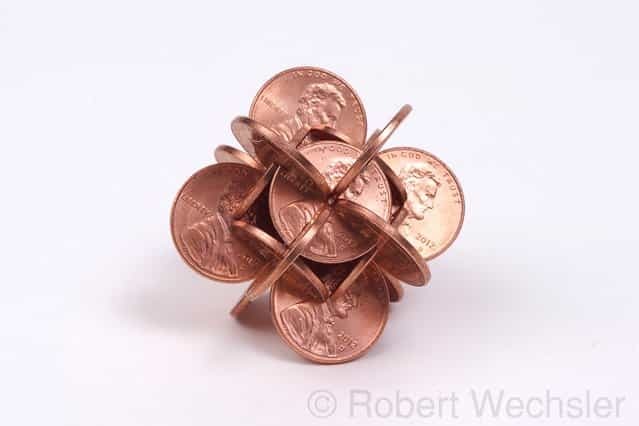 The number of pennies increases exponentially with the size of the cube. Pictured here are three cubes differentiated with subtitles indicating the exact quantity used.